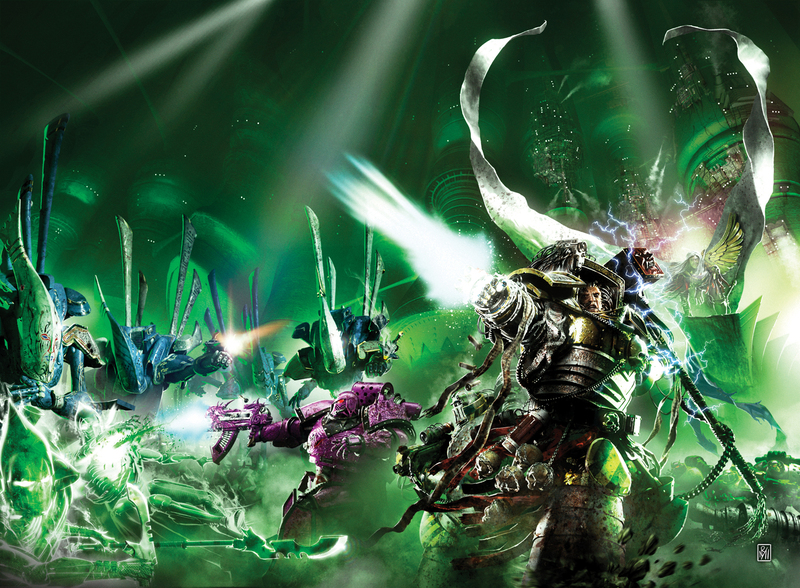 Uriel Ventris is a warrior who fights every battle according to the Codex Astartes. When a mission to destroy a vital bridge goes wrong, he must quickly learn to work outside of the codes and rely on his own initiative. This story marks the first appearance of Uriel Ventris in a Black Library publication and is a bit of a landmark for me. Uriel had appeared before in my writing (as a Chapter Master in a novel I’d written while at university) but this was the first time he’d appeared in the form more familiar to fans of the Black Library. This story was written as a prelude to a novel, almost as a training run, you might say, to see whether we thought the character had legs enough to move into the big league as the main character of a novel. I always thought he had plenty of mileage for novels and, at six and counting, I think that’s panned out pretty nicely. As far as stories go, this is very much an origins tale, with the torch of command being passed from Brother Captain Idaeus to Uriel, and I still raise a smile when I look over it now to see how much has happened to Uriel since the more innocent days when Uriel was a veteran sergeant.